Explore the stories of some of our volunteers below - and find out what it's really like to be part of the #WishForce - in their own words. With a PHD in volunteer management, many would say Rambo has the perfect background for his role as Volunteer Care Coordinator at our Perth Branch, where he also previously served as President. 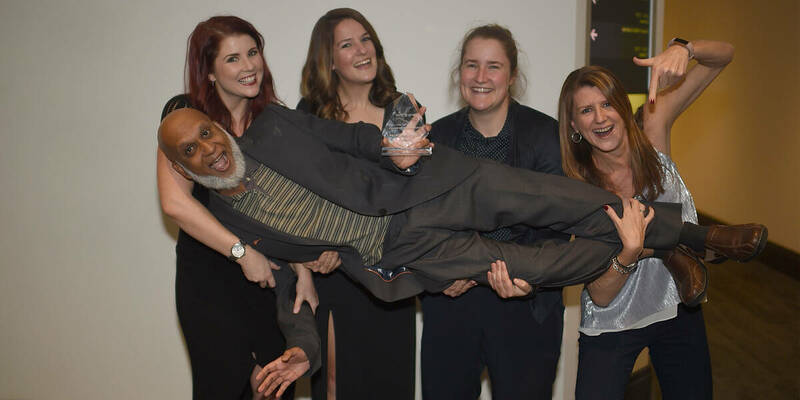 But in truth, Rambo started volunteering for us in 1999, balancing his branch volunteer commitments with his studies and building a successful career in IT management! In 2017, Rambo entered the Volunteer Hall of Fame as our annual Aidan McCann Award recipient. We asked him how he does it! How do you make time to volunteer? I care about it, so I find the time! You volunteer because you are passionate and want to make a difference. Any favourite memories to share with us? A new volunteer had just been on her first wish, and was sharing her experience at our branch meeting. To see the smile and emotions as she talked was heart-warming. There was a moment in her story when she said, “This six year old boy looked at me and said ‘this is the best day of my life...’.” We could all feel it, even though we weren’t there ourselves. Why is Make-A-Wish important to you? My personal drive in life is to make a difference in the lives of everyone that I meet. If I can put a smile on their face for one hour, the rest of the day or for years – it all matters. Make-A-Wish gives me that opportunity to make a difference. Psst. It's all true - here's what others say about Rambo's mission! "I have never met someone who is as passionate about volunteering. Helping others is what gets Rambo going in the morning, so much so that he completed his doctoral thesis on how to motivate volunteers. "If you ask Rambo what he is up to on any given weekend, his answer is always an assortment of activities to help not-for-profits and people in need. Fortunately for us, Rambo can often be heard saying ‘my true love is Make-A-Wish’. "Rambo has been volunteering with the Perth Branch for more than 17 years. So often, when telling someone that I volunteer for Make-A-Wish Perth, they respond ‘oh is Rambo still there?’ - followed with a story about the positive impact Rambo had on their life. "Whether it’s a wish recipient seven years down the track, or a volunteer across the country recalling the time he picked them up from the airport, Rambo's impact is felt by our people, wish families and wider communities all over the country!" What inspired you to join the #WishForce? I really connected with the idea of people coming together and turning a wish from the imagination of a really sick child into a reality. I saw videos on Facebook of a little boy flying to the moon and a little girl tasting a unicorn's rainbow horn. It was so special to see the effect their wishes had and I thought - how could you not want to be a part of that? Volunteering as an event helper really appealed to me, as I knew it would fit my busy lifestyle! It allows me to get involved on a smaller scale and still feel like I'm making a difference. Also, part of my recruitment business's success is being socially aware and giving back to the community. I already knew about Make-A-Wish and was excited about what you do, however volunteering gave me insight into the difference we could really make as a team. What have you learnt since joining the #WishForce? I thought volunteering on World Wish Day would be easy - that it would be all warm and fluffy. I did get that 'warm fuzzy feeling' by the end of the day, but I definitely worked for it. It really gave me a lot of respect for volunteering, knowing how much work goes into raising funds to help grant all those wishes. What tips do you have for other volunteers? For anyone thinking about being an event helper, I'd say do it! It really helped me to get a glimpse of what's involved when I wasn't in a position to take on a big commitment. The best part was that it allowed me to be a part of Make-A-Wish and do my bit. If I were to give other event helpers out there some advice, it would be to go in with the view that you're doing a great thing. Whether you raise $10 or $1,000, it all adds up and goes towards an amazing cause. It's what kept me going, and is something we can all be really proud of. Courtney volunteered at Make-A-Wish headquarters while completing her Masters of Marketing. We were equally thrilled and sad when she ultimately got a job in her chosen profession! Before heading off, Courtney shared the inside word on her experience as an office volunteer. Courtney, what was your role at Make-A-Wish? I moved to Melbourne when I started uni. 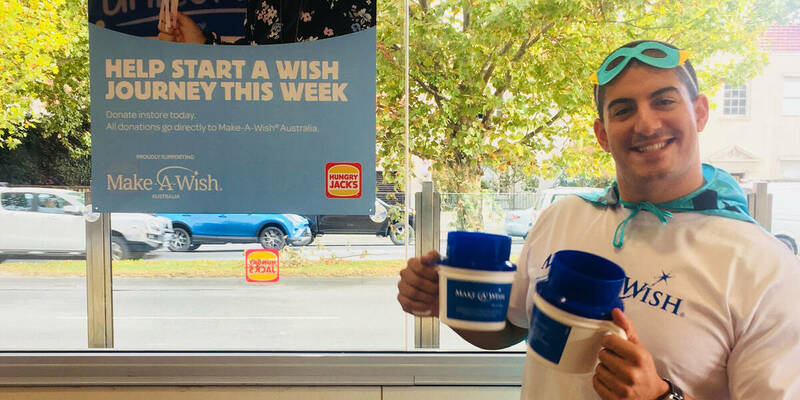 While completing my Masters in Marketing, I started volunteering with Make-A-Wish to gain some workplace experience - it was actually my first professional pursuit in the industry. I wanted to do something a bit different and also challenge myself while finishing my degree. Make-A-Wish stood out because I’d heard of it as a global brand, and also some amazing local wishes... It also has a creative element that really attracted me, as opposed to more traditional corporate environments. As an office volunteer at Make-A-Wish, I was part of the Brand and Communications team. I came into the office once or twice a week, working on a range of tasks from drafting press releases, writing and uploading web content or social posts - and occasionally helping out to make wishes come true! What did you learn as part of our #WishForce? Make-A-Wish gave me so much confidence in my ability and skills. I’ve been able to make connections with people in a wide range of areas, and it’s really helped me learn what I’d like to do in the future. The support I received was wonderful and made me feel excited to start the next stage of my career. I learned something new every single day, and found the support and tips from senior staff absolutely priceless! These are skills I’ve been able to apply in my new job, giving me confidence in the workplace. The best part has been seeing the impact wishes have up close, and not just the kids but also their families. I’ve also loved finding out more about how the creative process works; seeing a wish go from an idea (in the mind of a child) to actual reality. I definitely recommend volunteering with Make-A-Wish, especially to younger people who might be finishing studies and unsure what to do next. Make-A-Wish is such a warm and welcoming organisation, there's a range of volunteer roles to get involved with, and something to suit everyone - no matter how much or little experience you have! 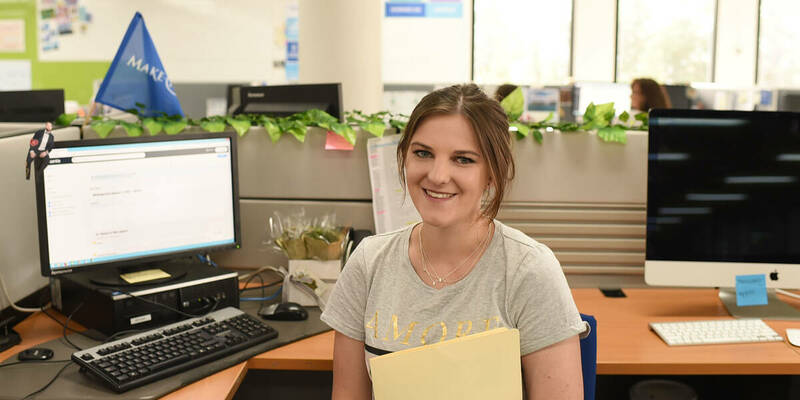 Michelle helps her branch and sick Australian kids with every step! Choosing to be part of our #WishForce is one of many hats Michelle wears - but it's had a huge impact, not only on her own life, but also on her daughters, and the lives of countless Australian kids with life-threatening illnesses. 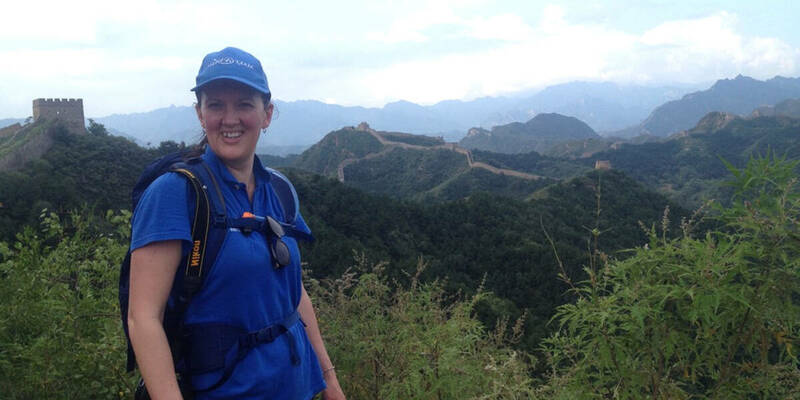 Find out more about Michelle, some of her most life-changing Make-A-Wish experiences and motivations here. Want more inspiring volunteer stories? Come to our Hall of Fame! In 2005, we introduced our annual Volunteer Awards to acknowledge our most fabulous volunteers for the impact they have in the community and our organisation. The Award was renamed in honour of Aidan McCann, a former wish child and incredible volunteer, who sadly passed away in 2006. Meet all our Award recipients and explore their stories in the Volunteer Hall of Fame.